Who are you? No, really, who are you? Are you daring? Demure? Traditional? A trendsetter? Dainty? Girly? Artsy? Tom-boyish? Now more than ever, you have the freedom to let who you are on the inside shine on the outside. Beyond hairstyles and fashion choices, nail embellishments are the perfect way to make a statement that sets you apart from everyone. 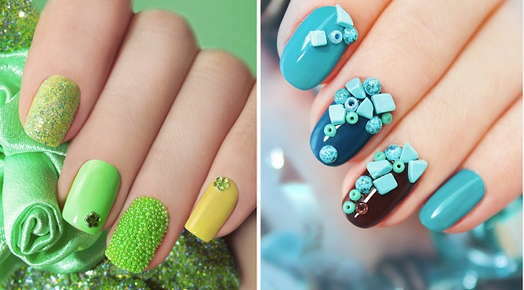 Depending on which nail embellishment you choose will determine how the process will work. But what you can expect is to begin with a basic manicure. To be specific, a basic manicure starts with removing any old nail polish. The nails are then buffed and shaped, ranging from round, square, oval, squoval, ballerina, stiletto, almond, lipstick, pointed (arrowhead). Afterwards, your nail technician will apply a special cream, lotion or oil to your cuticles, then place your hands into a dish of warm, sometimes soapy water to allow the cuticles to soften and any grunge beneath the nails to loosen up. After a few minutes, the hands are removed from the soaking solution, the cuticles are tended, and a tool is used to sweep dirt from underneath the nail tips. The hands are then dried by towel and the hands and forearms are massaged, often with an oil or lotion. With your nails now thoroughly cleaned and prepped, a base coat is applied, followed by two coats of a polish of your choice. If you are to receive artwork or animal print designs, your technician will incorporate the appropriate polish colors, using a special tool to etch out the design and create lines. In some cases stencils may be used. 3D charms, crystals, and rhinestones are adhered to the nails using nail glue, or they are fused into your gel polish or top coat. Finally, a last coat is applied to seal and lock in the polish and embellishment. To dry the polish and help fasten the embellishment, your hands are placed under a UV nail dryer that is outfitted with a timer. Now that you have a better idea of how it works, consult with our masterful, talented nail artists. Let them bring your vision to life, so that your personality can speak for itself.